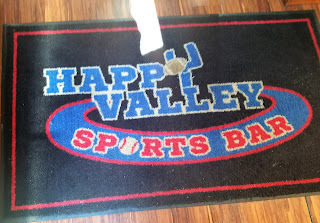 Happy Valley Sports Bar is a really cool place that I've been to a couple of times. It's been open for close to 2 years now and there's a reason why I've been back, because they have an awesome bar area with a ton of huge TV's and the food is very good. 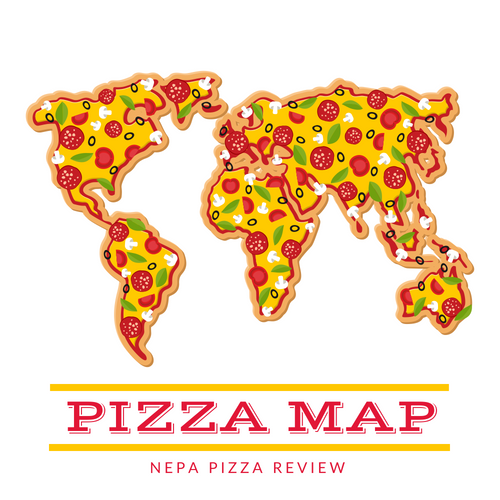 It was time to watch a little March Madness and I asked a friend where we could catch a game and try a pizza that I haven't reviewed yet. He recommended Happy Valley, so I hopped in the pizza mobile and met a few friends there. I cursed myself as I was walking in because I forgot to charge my phone the night before and I was almost dead and I needed my phone to photograph the pizza! I found I was in luck when I spotted my friend at the bar with a white wire coming from beneath charging his phone up. I took a look and noticed they had these really cool charging outlets under the counter so I ran to the car and got my cable to juice up the pizza phone! I always appreciate how clean the place is every time. It's such a friendly, casual, and relaxing atmosphere that draws friendly people that all seem to know one another. The service has been speedy and courteous each time I've visited and the food is remarkably good and consistent. I've sampled the wings and a few appetizers there which were very good, but today it was time to try the pizza. 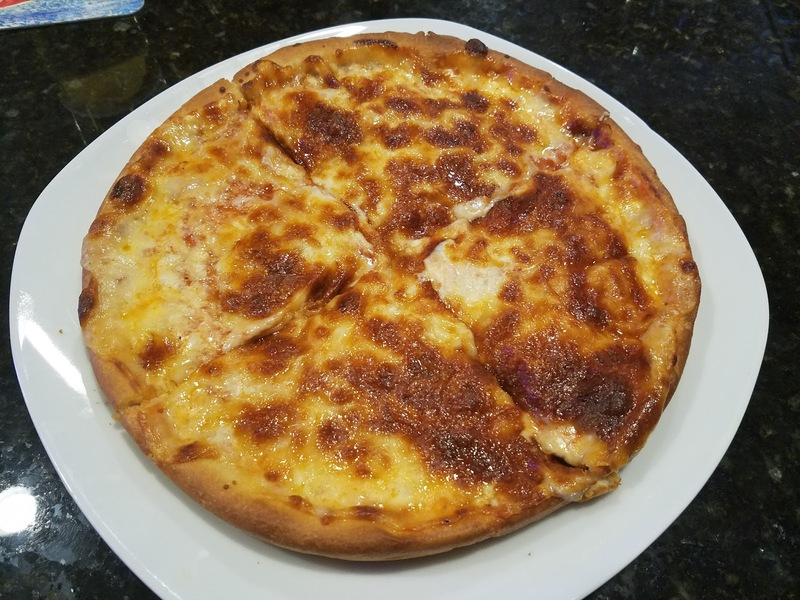 HV sells personal pizzas which is made with fresh, hand tossed dough and topped with their special blend of cheeses. 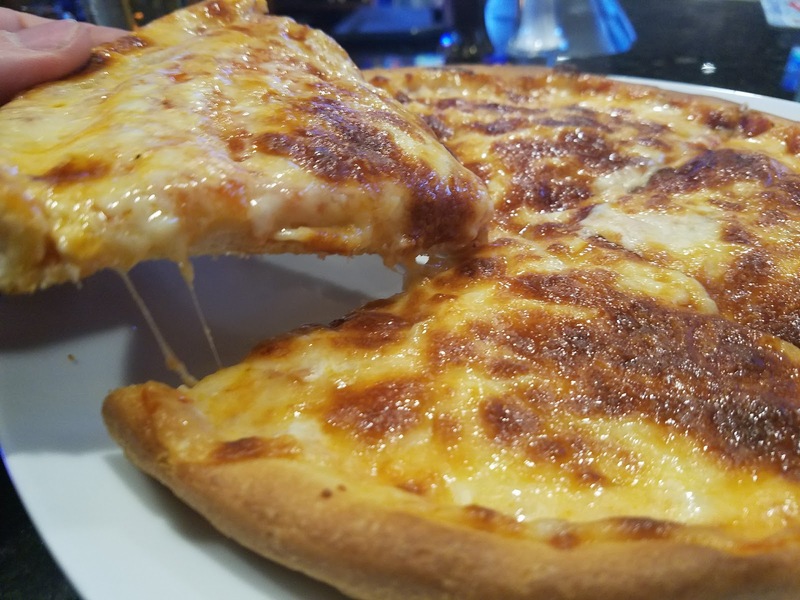 I ordered up a cheese pizza, affectionately known as "Old Faithful" on the menu and it wasn't long before the pizza was right in front of me. Overall, the pizza looked pretty good. A little burned American cheese on top of a medium thickness crust. The cheese did sport a ton of flavor and variation which I enjoyed. 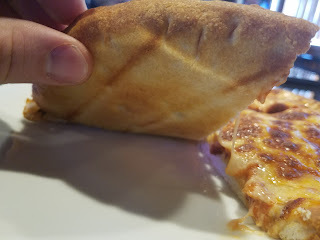 The sauce was semi-sweet, semi-bitter with a smooth texture, but not bad at all for bar pizza. The crust fell a little flat for me as it seemed a little dense, flat, and brittle. It wasn't so much chewy, but it was a bit tough and overcooked for my taste. Overall, I think it was a pretty decent pizza that is worth the $6.00 price tag when you're looking for a snack while catching a game at this great establishment. I might order it again next time with toppings, but there are several more items on the menu I want to try such as the giant deep fried macaroni and cheese balls that I watched my buddy feast on. Besides the first class bar complete with a giant Penn State Nittany Lion behind it Happy Valley has a pretty generously sized back room which appears to be used for private parties and table service. That too is super clean and well decorated, just like the rest of it. 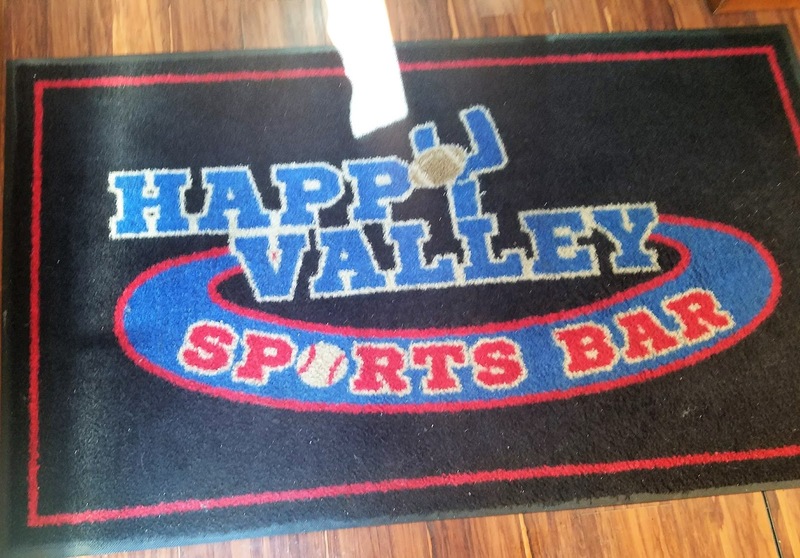 I have to say there is every reason why you need to get to Happy Valley and give it a try if you haven't already. The food is homemade in house and you can really tell by the high quality. 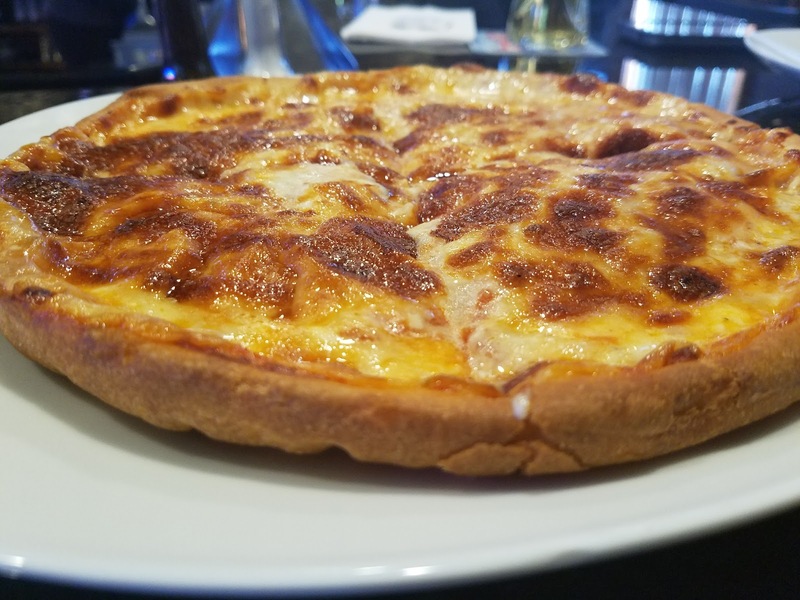 The prices are reasonable, the service is fantastic, and I guarantee you will find yourself getting lost in one of the big screen TV's while you watch your favorite teams. Happy Valley does things the right way, and for that reason I look forward to returning!